Evil has been approaching silently. Pirates are coming on their ships; rapiers and pistols are their weapons. Enemies will drop more items if killed by them, and vise versa. However, they will receive half PK points only. Nobody knows where these mysterious pirates come from. Rapiers and pistols are their favorites. Once targets are locked on, they will never fail. Experience helps them grab more stuff from enemies, but only half PK points will be received. The chances of the items being dropped from inventory will be doubled when Pirates kill someone. But on the other hand, when they get killed, the chances are doubled as well. (Only droppable items can be obtained). Also, they will only get 5 PK points per kill, vice versa. 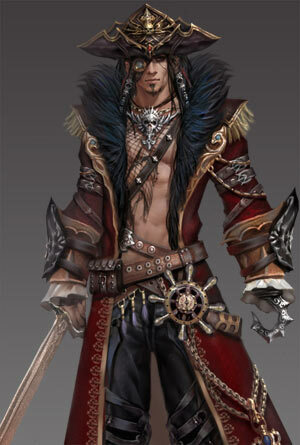 A pirate starts out as Interns and can be promoted by the Pirate Lord in the Job Center of Twin City. A pirate can learn the skill WindStorm in level 5. 15 None Pirate Small Praying Stone(B). 40 None Pirate Gunner Non-reborn: Double EXP Potion (B). 70 None Quartermaster Non-reborn: Level 70 Super weapon. 100 None Pirate Captain Non-reborn: Normal Dragon/Phoenix Gem. 110 Moon Box Pirate Lord Non-reborn: 3 Exp Balls, 3 Triple Exp Potions, +2 Stone, +2 Steed. All are Bound. Blade Tempest Stab all opponents within 10 paces (square area) to cause 90% of normal attack and attach Black Spots (if learnt), consuming 20 SPs. Reset the cooldown of Eagle Eye. Rapier should be equipped. A rapier must be equipped. WindStorm A passive skill for pirates only. They got chances to hit combo. 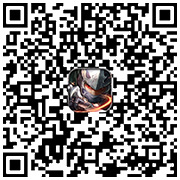 If it is used on players, they`ll have a 1/3 chance to hit combo. Ratio increases as it upgrades. Rapier should be equipped.